Now Available: Dixie Diner Low Carb Caramel Topping! Dixie Diner Low Carb Caramel Topping is now available. We carry a wide range of low carb toppings and spreads at Linda’s Diet Delites. Be sure to check them out! 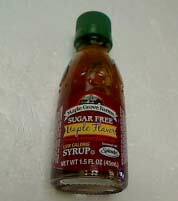 Maple Grove Farms Sugar Free Syrup Single Serve Jars are now available. Perfect for taking to your favorite diner. Be sure to check out our wide range of low carb toppings and sugar free toppings here at Linda’s Diet Delites! 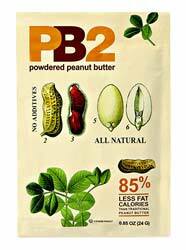 Bell Plantation PB2 Single Serving Packets are now available. These are perfect for on the go spreadin’ or for those of you who needs a taste test before committing to a full jar. Be sure to check out our wide selection of low carb spreads and sugar free spreads at Linda’s Diet Delites! 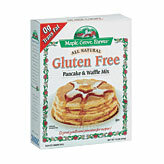 Maple Grove Farms Gluten Free Pancake & Waffle Mix is now available. Be sure to check out all of our gluten free mixes at Linda’s Diet Delites! Maple Grove Farms Sugar Free Pancake Mix is now available in 8.5 oz. box size. 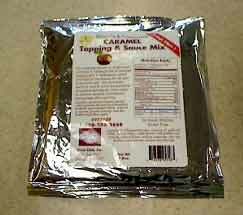 This mix is not only sugar free, but also high in protein. Be sure to check out all of our great gluten free mixes and sugar free mixes online!